Did you know you can add Spatial Reference Systems to HANA? By default, HANA has 4 preconfigured Spatial Reference Systems (SRS). Two of the preconfigured ones most used are 4326 (WGS 84 Spheroidal) and 1000004326 (WGS 84 Planar). However, there are over 3000 other spatial reference systems and many of our customers utilize some of them. So how do you add additional ones? There are two ways to add additional ones to HANA. 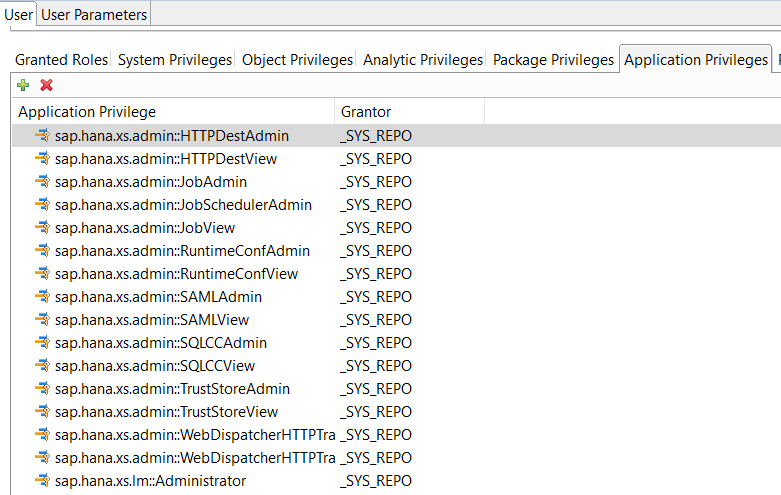 The first way is to add one at a time using the CREATE SPATIAL REFERENCE SYSTEM command in a SQL Console as a user with the required privileges (i.e. SYSTEM). The second way is to use the HANA Geospatial Metadata Installer. 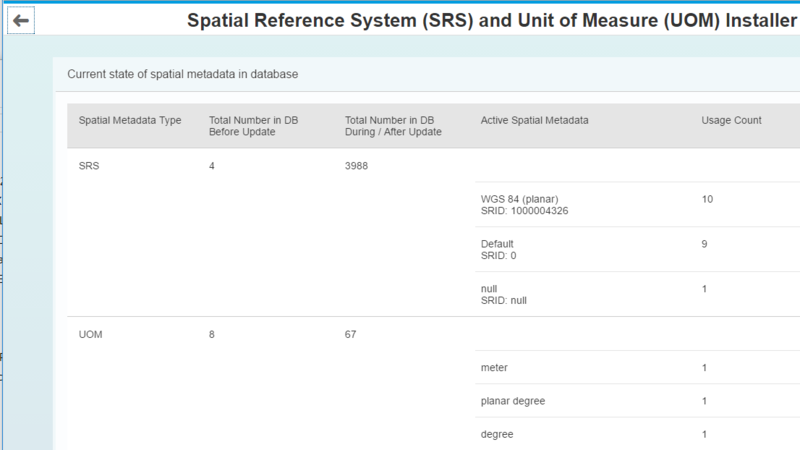 This web based admin tool will install additional SRS – a total of 3988 [as of HANA SPS 12] spatial reference systems. They will be available in the target HANA instance after an update is applied using the tool. Here is a screenshot of the admin tool after the update was applied. Assign the user for the Geospatial Metadata Installer. This is accomplished using the XS Admin console. Here’s where there may be a slight twist (see below). I’ve verified that for HANA 2.0 SP2, you will still need to grant the Application Privileges outlined in the discussion thread below. You can view the current state which should show 4 spatial reference systems present. To add additional ones, use the “Start Update Immediately” function. You can’t select which ones are added, it will add the remaining 3984 spatial reference systems (as of SPS 12) to the target HANA instance. The update occurs within a matter of 10 or 15 seconds. Once the update is completed, you can check the status using the “View Current State…” function which is shown in the first screenshot at the top. Once you’ve verified the desired SRID or SRIDs that you need exist, you can use spatial methods in SQL to transform between them. The proper spatial method is ST_Transform(<SRID>). At first glance, it looks like ST_SRID(<SRID>) might work as well, but this method only changes the SRID and does not actually transform the geometries. It’s common to transform from one SRS to another in GIS packages. Typically, at the client level, you’re working with small datasets (100s or 1000s of features). When large datasets with spatial data need to be transformed, having that capability in SAP HANA means the transformation can be done at high speed. In summary, it’s very straightforward to add additional spatial reference systems to SAP HANA and to transform between them at high speed, Just make sure you carefully follow the instructions in SAP HANA Spatial Reference Guide and in the discussion thread with respect to adding the appropriate Application Privileges for XS Admin console access. We would like to know if UTM32N is available. I think this should be 32632. –>some kind of documentation would be appreciated. What’s the SRID of the Gauss-Krüger reference system? Yes, I know that I can query them. Only upon having them installed! I cannot simply have our Basis install everything “just for fun”. Hence my (or Michael) question on a documentation. Yes, in fact, the additional SRSs added include 31466. 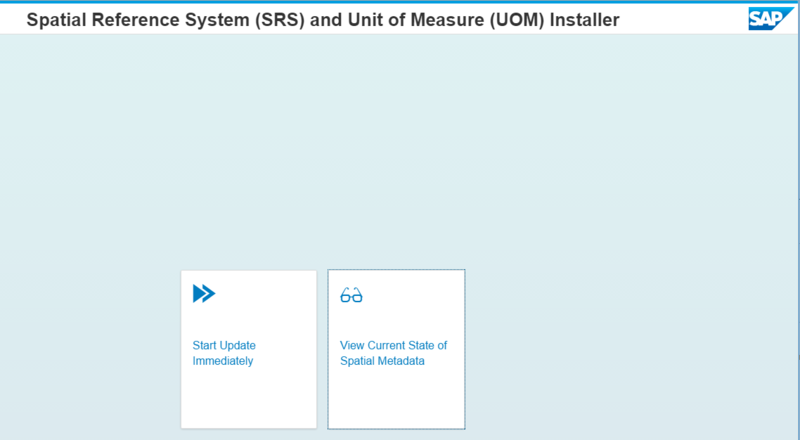 After you apply the update using the metadata installer, you will have this SRS available and can transform between this SRID and others as well as perform spatial operators. Just keep in mind that some operations like calculating area and distance when performed using planar spatial reference systems can have some inaccuracy. See the 3rd paragraph of this blog for a more detailed explanation. The Metadata Installer is derived from the EPSG dataset (http://www.epsg.org). The current version of the Installer is based on version 8.8. of the dataset. There are very few systems that do not have enough data in that set to serve as an SRS in HANA, but generally you can assume that all the EPSG systems you want to use are in there.